This modest semi-detached brick house was built in the 1880s as a speculative investment in response to the need for accommodation for railway families. The neighbourhood of Milltown was close to Bathurst's railway yards. 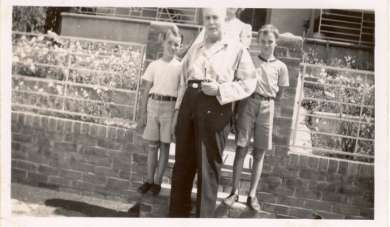 Busby Street formed the boundary between Bathurst and Abercrombie Shire until 1937, with Chifley Home on the shire side. The house was purchased in 1903 by George McKenzie, who in 1914 gave its tenancy to his daughter on her marriage to Ben Chifley. In 1920 full title was gifted to Elizabeth (Lizzie), who in turn transferred joint ownership to her husband. This house was the only home known to the Chifleys during their married years. The house consists of five rooms: kitchen, dining room, sitting room, bedroom and study, which also served as a separate bedroom. The kitchen, originally a separate building, is joined onto the house, providing a walk-in pantry in the gap space. The toilet, bathroom and laundry were located outside the house. The Chifleys had no children, which undoubtedly shaped their use of the rooms. On Elizabeth's death, the house passed as a bequest to St Stephen's Presbyterian Church. In keeping with Elizabeth's wishes, Mrs Isabel Clark, her companion, continued to reside there until her death in 1969. 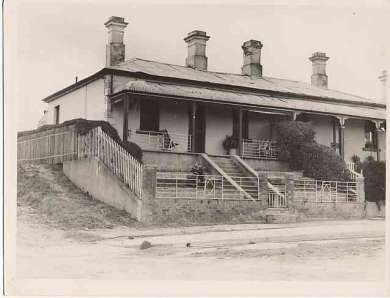 Subsequently, Bathurst City Council purchased the house and contents, opening Chifley Home as a house museum in 1973. The house played a significant role in Ben Chifley's political career. Home ownership gave Ben a foundation of financial security. Its location on the border of Abercrombie Shire made possible serving on that shire's council, while still keeping a presence in Bathurst town. Most importantly, his home on Busby Street kept Ben in touch with the lives of ordinary Australians. He knew at first hand their worries and dreams. The Chifley Home and Education Centre is open to the public.